Students in the Environment and Sustainability program take the Introduction to Geographic Information Science (GEOB 270) and the Advanced Geographic Information Science (GEOB 370) courses. The applied skills that students gain in studying GIScience and using Geographic Information Systems (GIS) in these courses are highly relevant to environmental issues and research such as environmental impact assessment, conducting multi-criteria evaluations, examining spatial clustering of event, implementing interpolation algorithms to model spatial phenomena, and creating maps to communicate analysis results to the public. Many students have created innovative GIScience projects for term projects. These term projects include individual, team, and sometimes entire class efforts to tackle questions and problems. Projects are available through the below links. This undergraduate class project for GEOB 270 Introduction to Geographic Information Science represents an attempt to implement open pedagogy ideas for achieving student learning outcomes in GIScience courses. 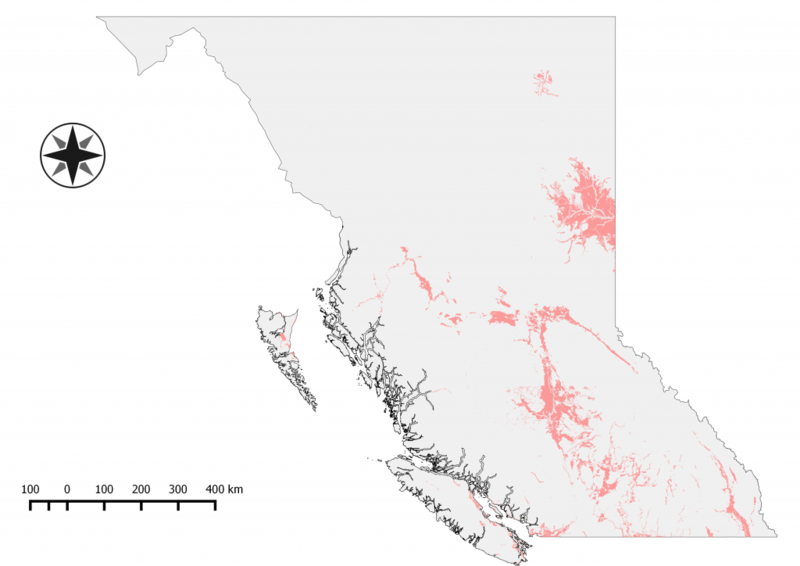 The class project used open science principles and mostly open data to make a real contribution to informed debate around British Columbia’s Agricultural Land Reserve (ALR). Teams of students conducted independent analyses of over twenty different subsections of the ALR to try to measure how much agricultural land is actually in the ALR and whether official estimates of agricultural land could be revised. Their final reports and maps provide an open resource for people interested in BC’s agricultural lands. Team subsection data, aggregated provincial data, team reports, and an instructor data analysis are all available for download under Creative Commons licensing. The website provides a brief analysis of the actual results of the analyses conducting in the project, whether the learning outcomes were achieved, and what lessons learned can be taken away for instructors implementing such projects. The below projects are listed in chronological order (going back to 2007). Many of the below projects are hosted on independent websites (so please let us know if you find a broken link). Pfiester, Laura United Guns: Where do crime guns come from, Where are they going, and How do they get there?